Our company is presenting a quality approved array of HSFG Nut. 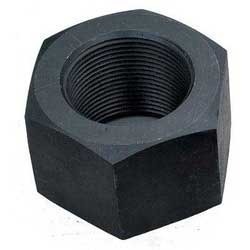 The HSFG Nut we offer is sourced from leading vendors of the industry, who deliver quality products to the clients. Moreover, one can get these products at market leading prices that too after testing their quality under strict quality norms. Genuine Enterprises is the sole proprietorship based company that was established in the year 1972 at Kolkata in West Bengal, India. Our company is engaged in trading, dealing and supplying of Hydraulic Hose, HSFG Washer, Lifting Tackle, Oil Seal and many more products. We source these products from the reliable, prestigious and certified vendors of the industry. These products are fabricated by skilled professionals by using qualitative material and cutting edge technology by following the industrial quality norms and principles. Further, our business is spread all across the nation due to the support of our authentic vendor base, vast client network, dedicated team of professionals, vast distribution network and advance infrastructural unit. More than this, we get appreciation from the customers regarding the products due to their high reliability, perfect finishing, long service life, excellent performance, accurate dimension, availability in many sizes and many more features. Authorised Dealer of Fenner India Limited, Caparo Fasteners and Ferreterro Safety Simplified.